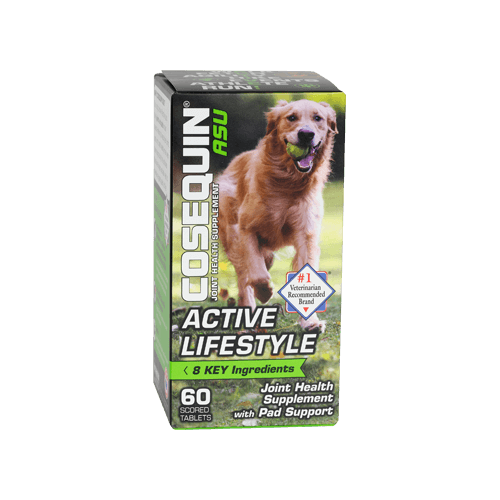 What is Cosequin® ASU Active Lifestyle? 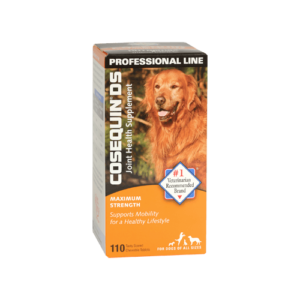 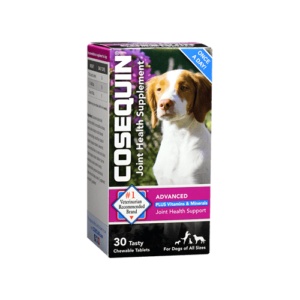 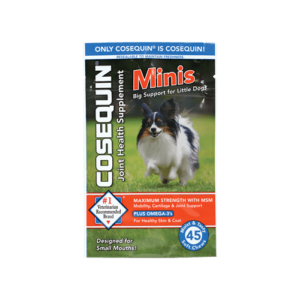 Any canine, from your weekend hiking partner to a full time agility competitor, can benefit from Cosequin® ASU Active Lifestyle. 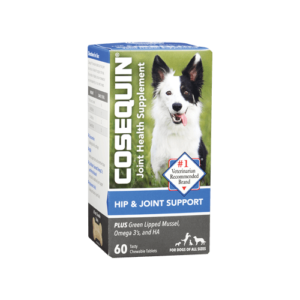 This product includes the patented combinations of avocado/soybean unsaponifiables with glucosamine hydrochloride and chondroitin sulfate to help deliver joint support to active dogs. 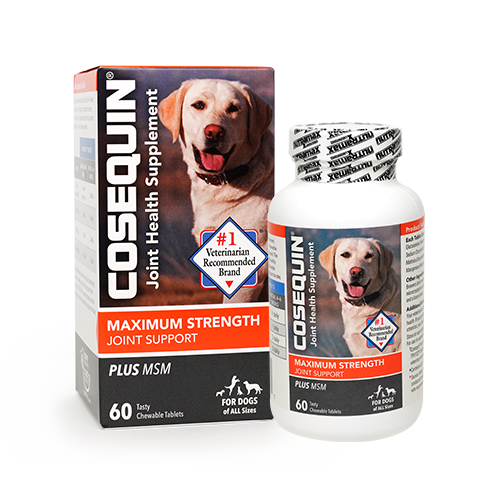 In addition, this enhanced formula contains methylsulfonylmethane (MSM), hyaluronic acid (HA), boswellia extract, and manganese, ingredients also known to help support joint health. 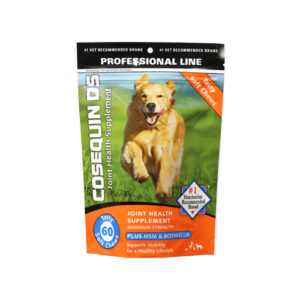 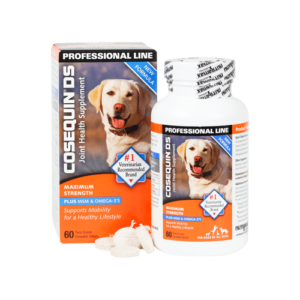 Cosequin® ASU Active Lifestyle also contains biotin to help support foot and pad health and integrity, as well as a healthy coat. 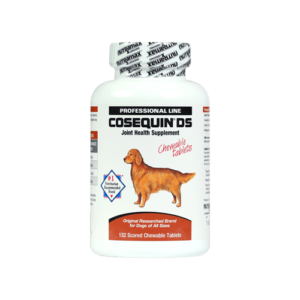 Cosequin® ASU Active Lifestyle is available in a tasty, once a day chewable tablet. 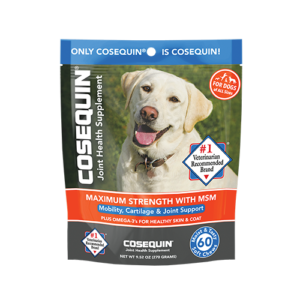 Although formulated for active dogs, Cosequin® ASU Active Lifestyle is suited for all dogs, from your weekend warrior to your intense competitor. 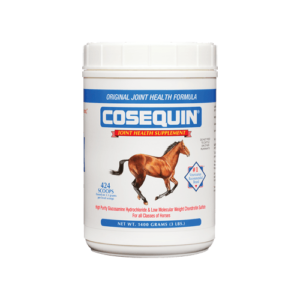 *Standardized to contain a minium of 30% avocado/soybean unsaponifiables..
▲Contains up to 10% moisture.